Inspiration for this beautiful lesson came from the Jamestown Elementary Art blog! Then I had my students fold a sheet of drawing paper in half and on the first half had them draw their own still-life of flowers (just from memory or imagination). After about 5-10 minutes, I placed a vase of fake sunflowers in front of them and asked them to look at exactly what was in front of them and draw that. We talked about the three-dimensional shape of the vase and how all the sunflowers do not point directly towards the viewer (some you can only see from the side or behind!!). The kids drew directly from observation on the second half. It was amazing to see the difference between the two pictures! The next day the kids came in and made a sheet of painted paper. 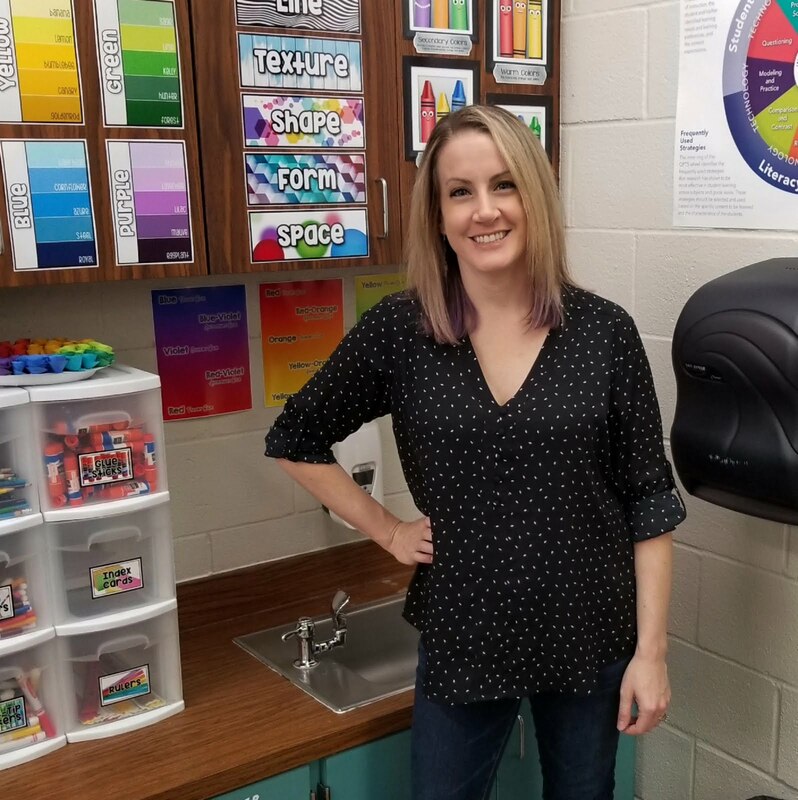 They painted one part yellow and orange and then added some texture, and painted a small part of it brown by mixing orange and black and added texture. The following day we began creating the background and flower vase with chalk pastel (ohhhh it's always so messy!). We briefly talked about blending colors (and analogous color schemes) to make items look more interesting (like the flower vase). The vase was then cut out and glued down to the background (we talked about placement before students glued their vases down - that way they wouldn't automatically put it on the edge of the table/horizon line). 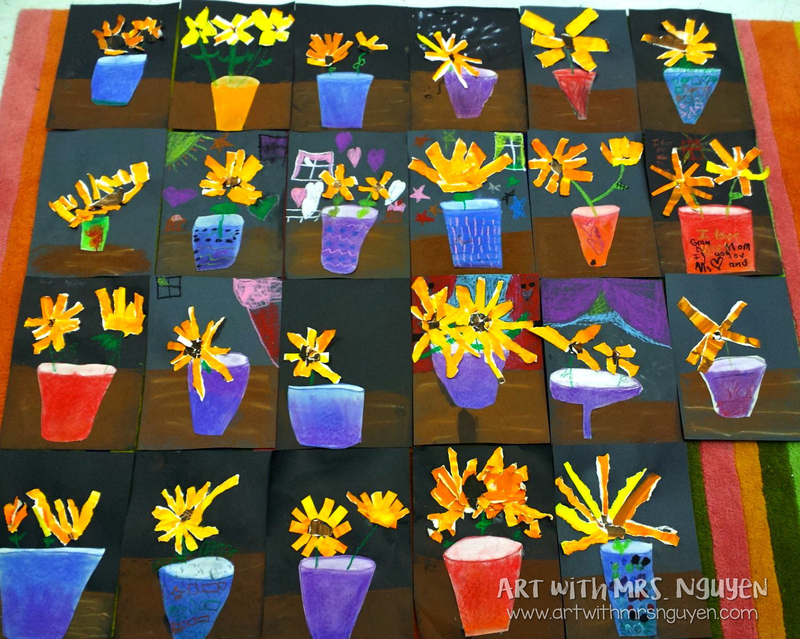 The next day students began tearing up their painted paper and arranging their flowers on their background papers. For some students this took a class and a half. 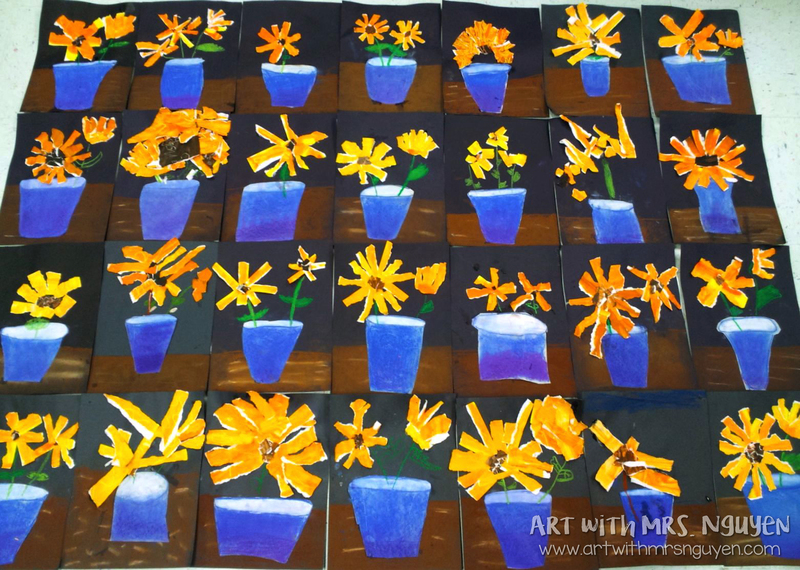 After all the gluing was done, students used oil pastel to add in stems, leaves, and other details. 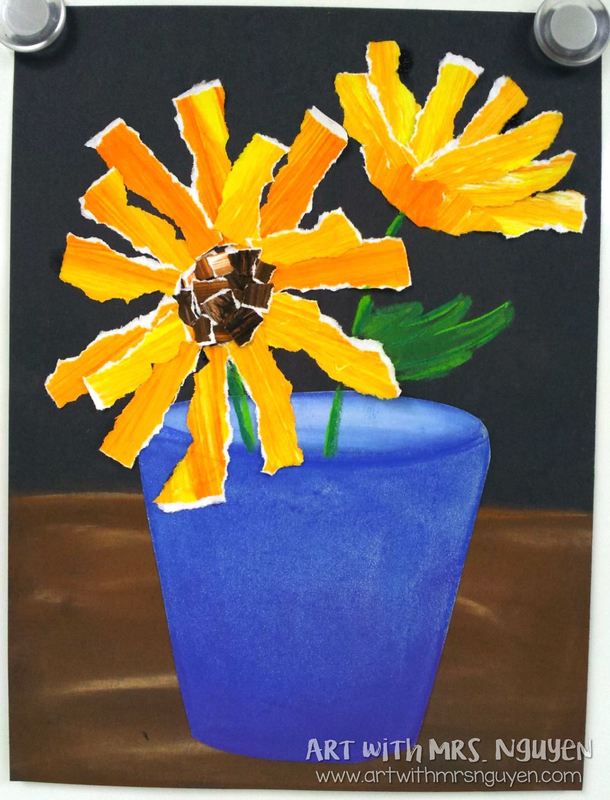 I love the idea of having the students draw a vase from memory or imagination before drawing the still life! Very creative; and probably taught them a lot! I am going to try this one! I do a similar one using the blue and white chinese porcelain vase.